Styles come and go. (Remember shag carpet and decorative border wallpaper? Me too.) 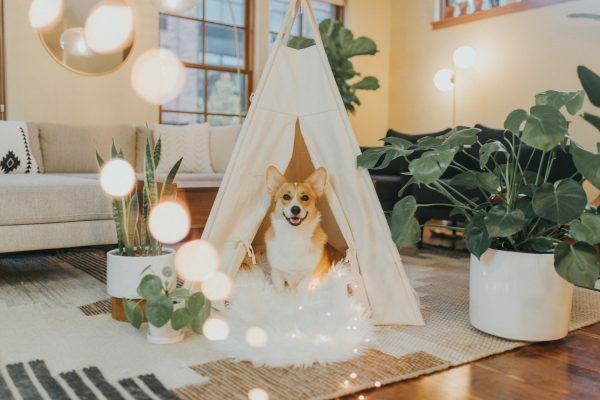 Each year brings a new trend and this year, we think you’ll like what 2019 has to bring. 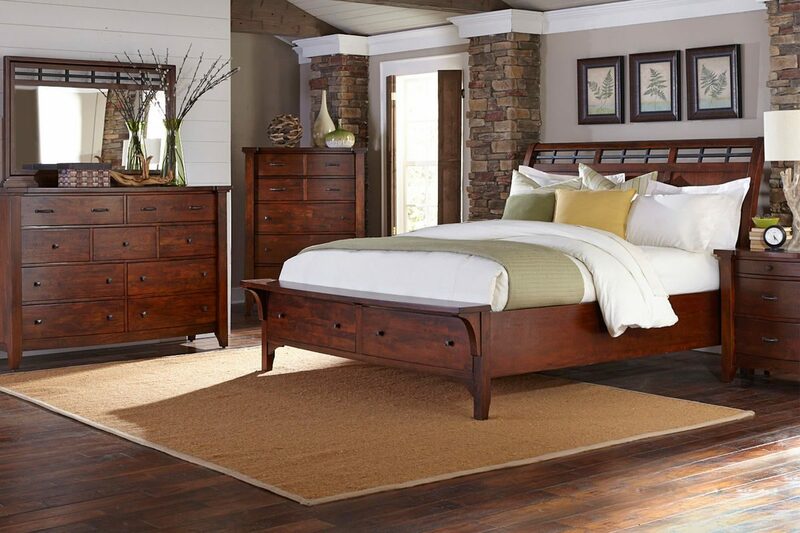 We’re seeing minimalistic style, earthy elements and new hardware. 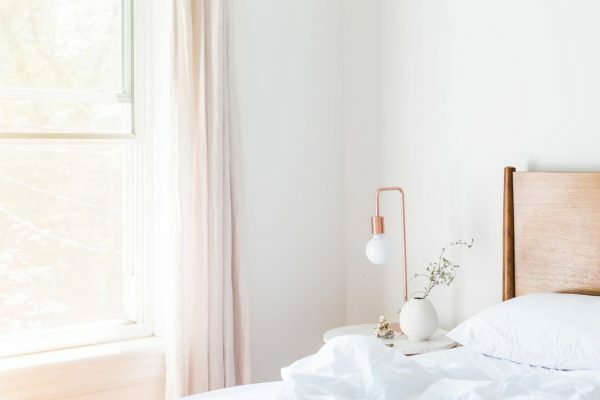 White walls are making a comeback, but before you roll your eyes, think about it from a design standpoint. 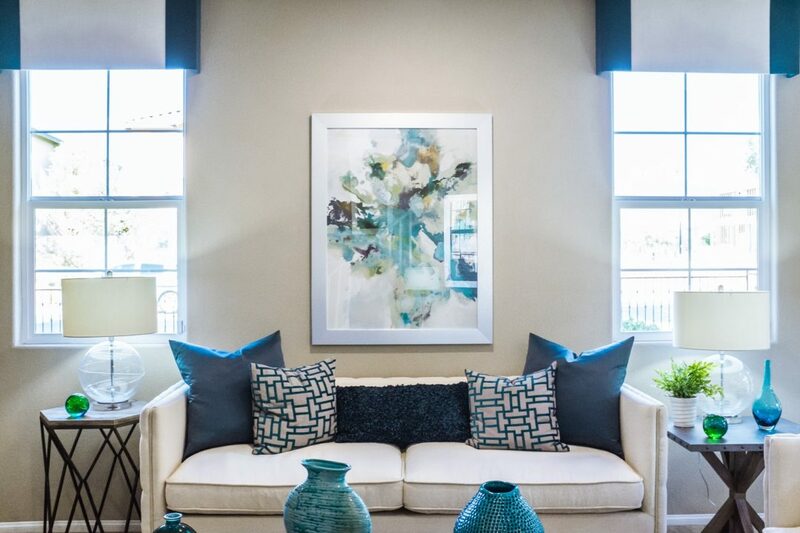 You can design your home anyway you want without a color limiting what you can do! White goes with everything and gives a clean, crisp look. We’ve noticed a rise in the interest of nature in the last year, and it is moving into the home. Fill your home with natural, organic products, plants and open your windows more often to provide fresh air. House plants not only provide great decor, they connect us to nature. Not only are house plants becoming more popular, but this year you will see more wood and stone. 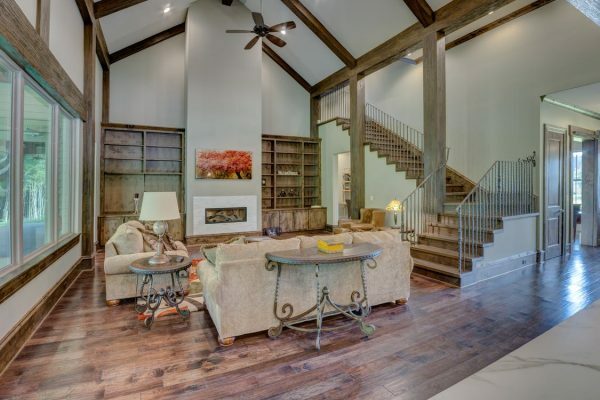 Now I’m not talking about wood paneling, but wooden beams on the ceiling and natural wood tables bring those earthy tones into your home and are timeless and versatile. Want something new in your kitchen? 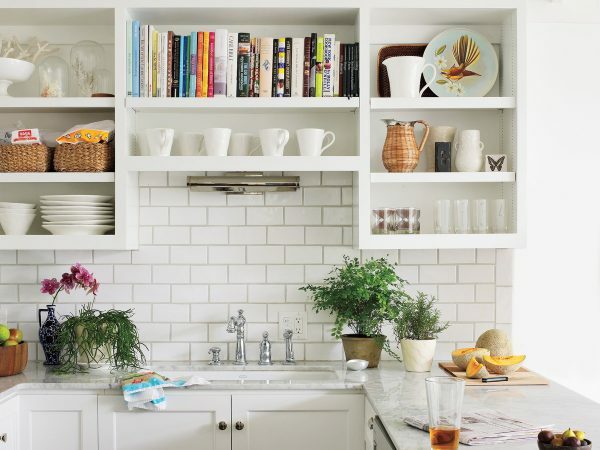 Incorporating open shelving will open your kitchen and definitely show a difference. This may force you to clean and organize more, which is a good or bad thing, you decide. If you’re not into the open shelving and want to keep your cabinets, update them by painting them! White cabinets have been the rage the last couple of years, but they’re on their way out. You could go two-toned like the picture above, or go all in! 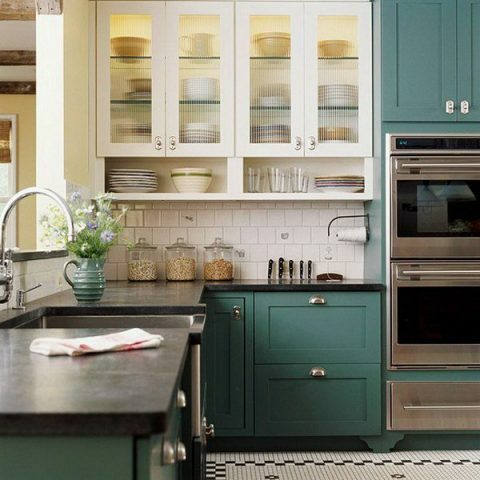 Colored cabinets are definitely one of the most popular trends of 2019 that you will be seeing more often. Say goodbye to last year’s hardware phenomenon, brass. 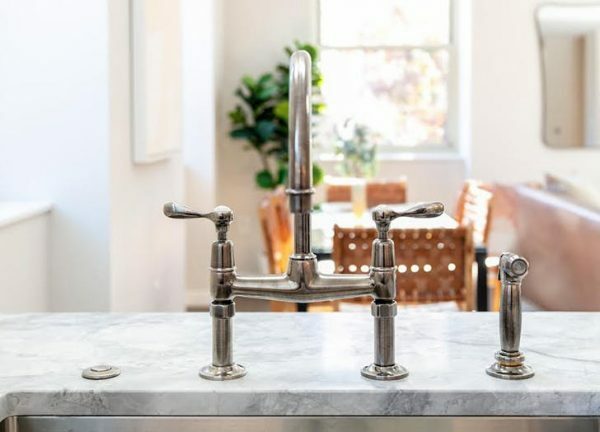 Pewter and gunmetal are less harsh than matte black and goes with more design styles than brass or gold. It has a nice finish with texture. You can easily replace the hardware around your house to make a difference! 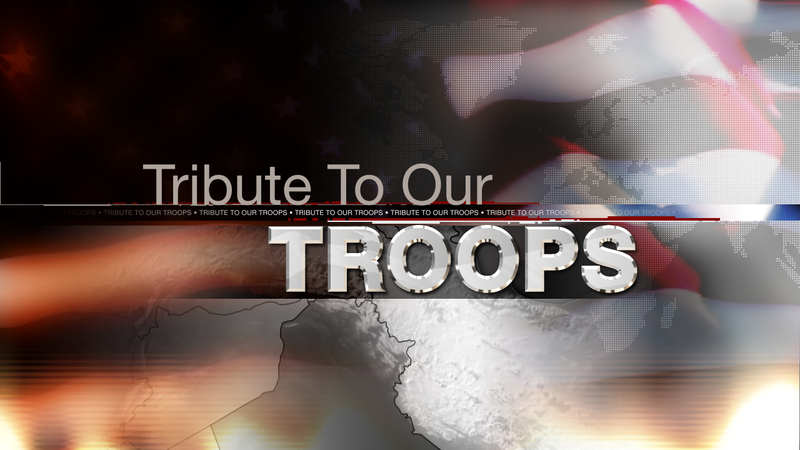 What Veteran’s Day is All About. 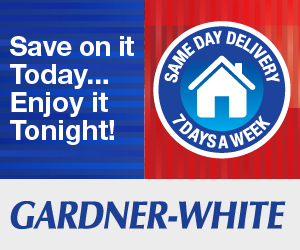 GARDNER-WHITE EXCLUSIVE: Save on it today – enjoy it tonight!